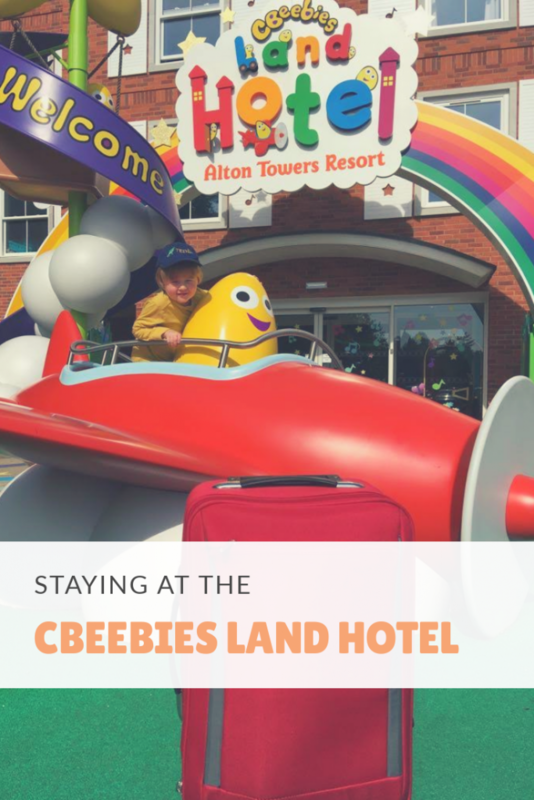 When we decided that our next big trip would be a visit to Cbeebies Land in Alton Towers it seemed to naturally follow that we would also stay at the Cbeebies Land Hotel in the resort. We knew that the stay would be more costly than we normally like but we felt it would be worth it. It turned out we were absolutely right. The hotel was one of the best bits of our stay and our only regret is that we didn’t spend enough time there. I have discussed in a previous post my problems with making the booking so I won’t go over old ground. 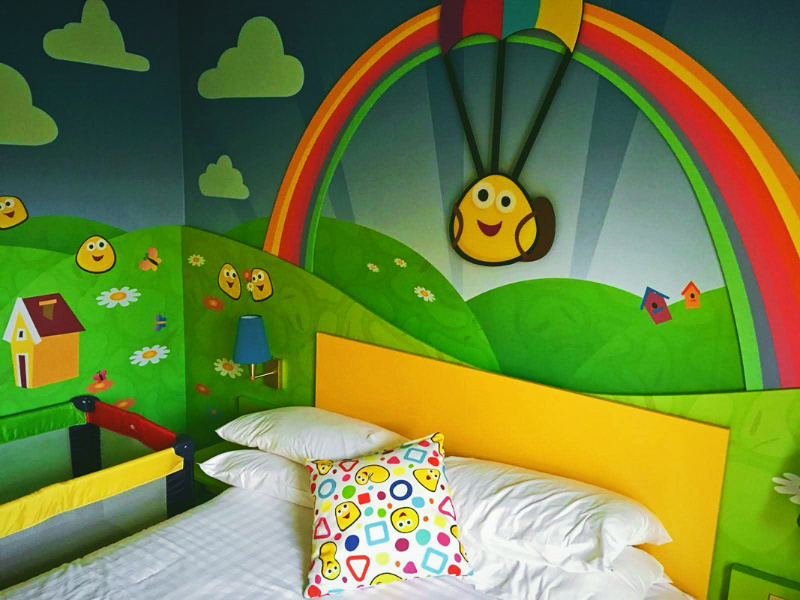 My issues aside, the choice of rooms was a standard Bugbies room or a themed room. The theme options were Swashbuckle, Octonauts, Postman Pat, Something Special or In the Night Garden. Ted has only a passing interest in those programmes so we plumped for the standard room which was £50 cheaper. Had there been a Hey Duggee room we may have been sorely tempted to go for the more expensive option! I’ll admit, the Bugbies rooms look like a psychedelic nightmare in the pictures online. We all thought the rooms were awesome and despite my fears the bright colours weren’t too overstimulating. Ted loved the room so much that he kept asking to go back every time we left. Even now he keeps packing our suitcase and asking to go to our Cbeebies room. All the rooms sleep five plus a baby. There’s one double, one bunk bed and a third single which rolls out from under the bunk. A travel cot is provided for the baby. The website promises all rooms are 100% family friendly and they deliver. Travelling with a baby? No problem, bottle warmer, baby bath and nappy bin. 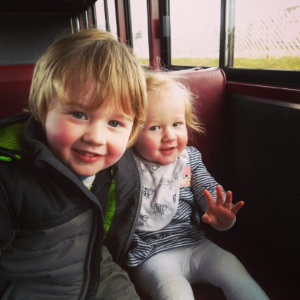 Travelling with a toddler? No problem, child’s toilet seat, steps for the sink and mini fridge for milk. Needless to say, Cbeebies was also on tap. (Not 24/7 obviously but from 6am to 7pm!) I wish all hotel rooms were as thoughtful! When you check in you are presented with a leaflet for the evening entertainment. All entertainment takes place in the Musical Meadows (AKA the bar). It includes various shows and character meets (we met the Octonauts and Ubercorn), discos and the night ends with some stargazing. We would have loved to have taken better advantage of the entertainments but we were only there one night and the children were both exhausted. Aside from the theme park there are lots of other family friendly activities in the resort. These include the waterpark (which we loved) and Extraordinary golf. Even though it was included in our stay we never did find out what was so extraordinary about the golf. There was just too many other things to do. First things first, breakfast is included and what a breakfast it is! Every breakfast item you could think of was available. We had breakfast in the Windmill Restaurant which is the one within the Cbeebies Land Hotel. It was set up for toddlers with plastic cutlery, high chairs with attached tables and strong coffee for all the tired looking parents. All the early dinner reservation slots were gone for the Windmill restaurant when we checked in. So we headed over to the Secret Garden just round the corner in the main hotel. The main hotel is also heavily themed, this time with a Victorian explorer vibe. It reminds me of a childhood book called Puzzle Island which I happen to have been reading to Ted recently. The food at the restaurant was nice. Too nice. The setting was lovely. Too lovely. We couldn’t enjoy it with two restless and increasingly hangry children in tow. We were assured all the restaurants on site were family friendly and there was a kids menu and crayons provided. However, every parent knows there is a big difference between the restaurant that provides crayons and the restaurant with the plastic cutlery. Fortunately we were not the only family with restless children in the restaurant at 6pm that evening. My advice is book the restaurants online before you go. That way you’ll definitely get the one you want at the time you want. I can’t comment on the food from the others but there are a few dining experiences to choose from. The Crooked Spoon is near to the Cbeebies Hotel as well and the menu is online to check out beforehand. 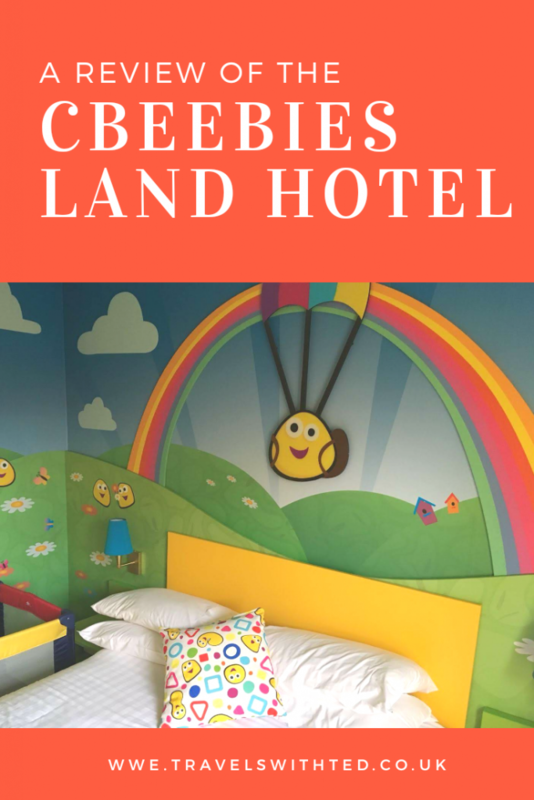 The Cbeebies Hotel is certainly more expensive than most places we choose when looking for accommodation. However, when you book a hotel like this or any of the others at the Alton Towers Resort you are booking more than just a bed for the night. You are booking the whole experience. There are few places I feel like I need to return to soon. Unexpectedly, this is one of the few. I didn’t feel like we got enough out of our stay. We were only there one night and the kids (and grown-ups) were very tired. There was much much more for families with young children to do than we were expecting. We will be back. In a few months if Ted gets his way. Or maybe we’ll wait until May is old enough to enjoy it more. Maybe. 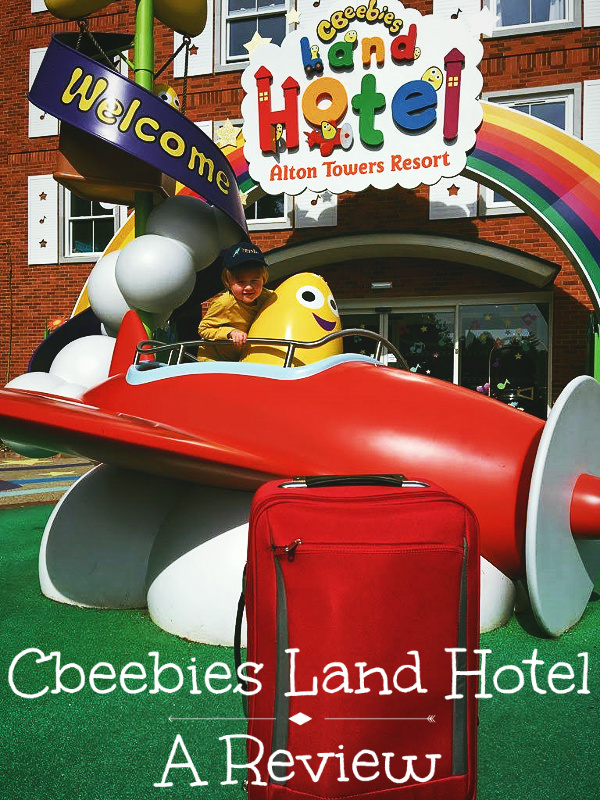 Click here to visit the CBeebies Land Hotel website and start planning your visit.